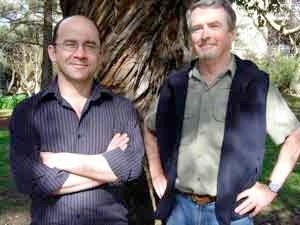 The first guest in our new Meet the Cryptozoologist series is well-known Australian Fortean and author Tony Healy (above right) one half of a dynamic duo that includes co-author Paul Cropper. When I read Constance White's More Than A Legend, about the Loch Ness Monster - that was in about 1957, when I was 12 years old. Then, when I was working in Canada in 1969/70, I heard about the sasquatch mystery and, once or twice, wandered off into the forest around Pitt Lake, BC, hunting the critters (armed with a little plastic camera and a heart full of hope!). In terms of crytozoology, it could have been hearing news bulletins about the Emmaville Panther episode, in the late 1950s. In 1965, somewhere around Innisfail, north Queensland, I had a very brief glimpse - but at close range - of something that looked for all the world like an American mountain lion. In addition, at monster-haunted Lough Bray, in Ireland, in 1979, I saw a sizable creature swimming within 60 metres of me. Took three photographs through a long lens, but as it was late twilight nothing showed up on the film. At Loch Morar, in Scotland, I saw what looked like the prop wash of a motor boat - quite close up, in good daylight. An American guy, Todd Martin of Lincoln, Nebraska, and I took 18 35mm pictures of the "wake" and they came out ok - but of course, the creature, if that's what it was, didn't surface. All of 'em - but if I had to pick, I suppose I'd say the yowie. Perhaps one of the Aussie mystery big cats - even if it proves to be "just" a humongous feral moggy. 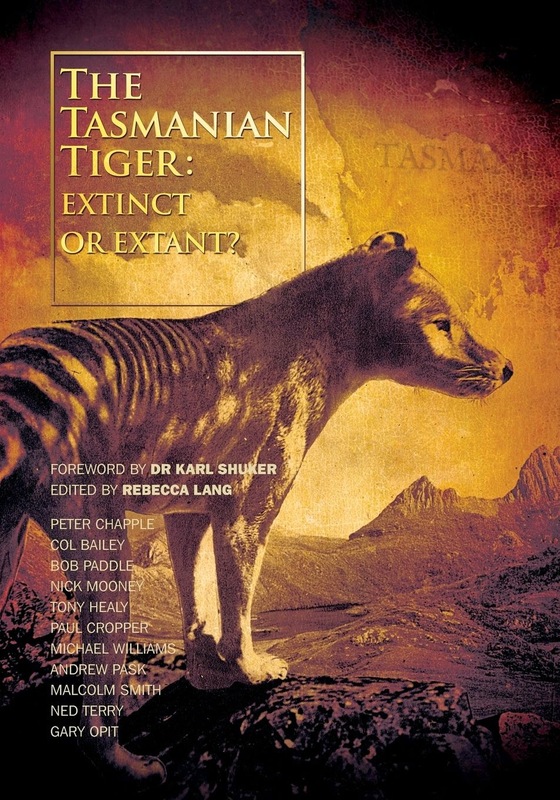 Also, hopefully, the thylacine - either in Tasmania or on the mainland. Also - maybe the Orang Pendek of Sumatra. Well - you gotta love those cute little junjudees! As above - the yowie or its little bro, the junjudee. Yep - unfortunately, I think that a great deal of the evidence indicates that most, if not all of the mysterious hairy giants, plus the lake monsters and most, if not all, of the Alien Big Cats are connected in some strange way and that they are all paranormal: psychic phenomena - possibly intruders from another (admittedly hyperthetical) dimension. Yep; Out Of The Shadows, Mystery Animals Of Australia (1994) and The Yowie (2006) both co-authored with Paul Cropper, plus numerous magazine articles. Sometimes scores of them, sometimes only a few dozen. In 1978 I was camped with a couple of friends beside Mt St Helens in Washington state, USA when, apparently, a bigfoot came close and checked us out (devastatingly foul smell, thumping noises), plus the Loch Morar incident - if only "Morag" had surfaced! To Andros Island, Bahamas, looking for the Yayho (a 5-foot-tall monkey-like critter) and to the Largarflot, in north-eastern Iceland, looking for the Largarflotsormorinn (a lake monster). I will be going back to Ireland next year to revisit a few of the monster-haunted lakes, then back to Lake Bala in Wales, and then a bit of scouting around southern England looking for Alien Big Cats and phantom Black Dogs - but I probably won't venture up to Scotland this time. I have some vague plans to visit southern South America in 2013 to look for lake monsters, plus the Ucumar and Chupacabras. Am working on another book with Paul - a round-up of Australian poltergeist cases - it's shaping up very well, and hopefully will be published early next year. 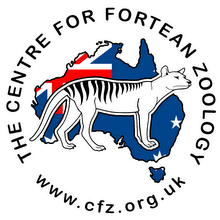 While it's hard to go past that timeless classic Australian Big Cats , I'd have to say that, as my most lengthy and intensive cryptozoological expeditions have been in North America, Scotland and Ireland, the books I've referred to most frequently - as sort of guide books to locations - have been John Green's books on the Sasquatch and Peter Costello's In Search of Lake Monsters. Have fun. Take it seriously, but not too seriously. Enjoy the trip - you'll meet a lot of nice people and visit a lot of interesting, out-of-the-way locations.